The Desert Coyote Wooden Cremation Urn is a beautifully crafted 3D wood inlay cremation urn. There are several types of hardwoods used to make the desert plants, moon, and coyote in the scene. This urn is especially popular with those who love the Southwest landscape. The urn loads through the bottom by removing several screws and the bottom plate. Each unique urn is a work of art and made in the United States. 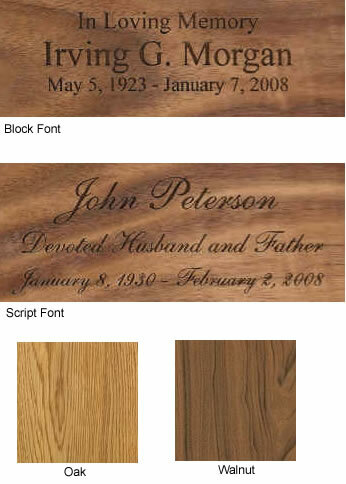 Personalized engraving on the top of this urn is available for an additional fee. Please limit engraving to no more than 35 spaces per line. Check engraving information to be sure spelling, punctuation, capitalization, and dates are correct. Engraving will be done exactly as submitted.